Stanza DNA Lab. 19 May 2003. DNA sequencing of Stanza blood to create DNA sequences, base codes and metaphases. Stanza. 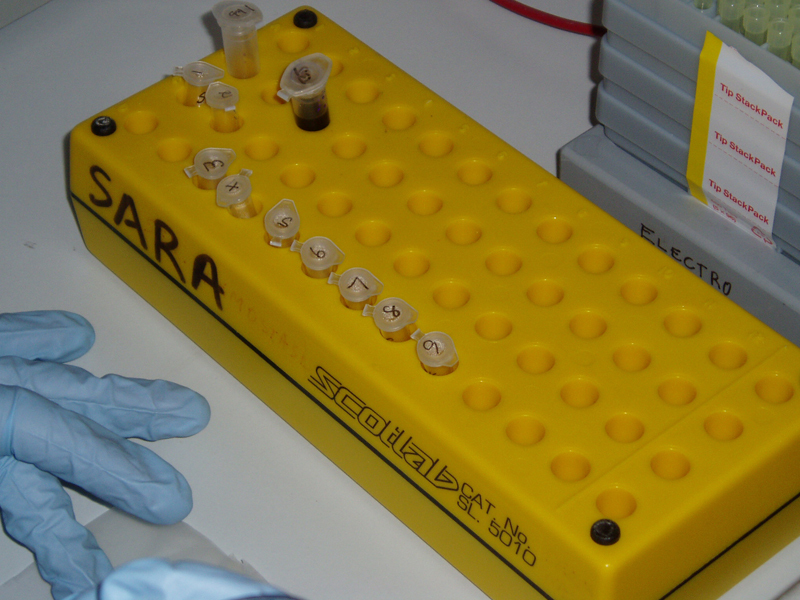 Outputs from lab for DNA sequencing 2003 used for art experiment.